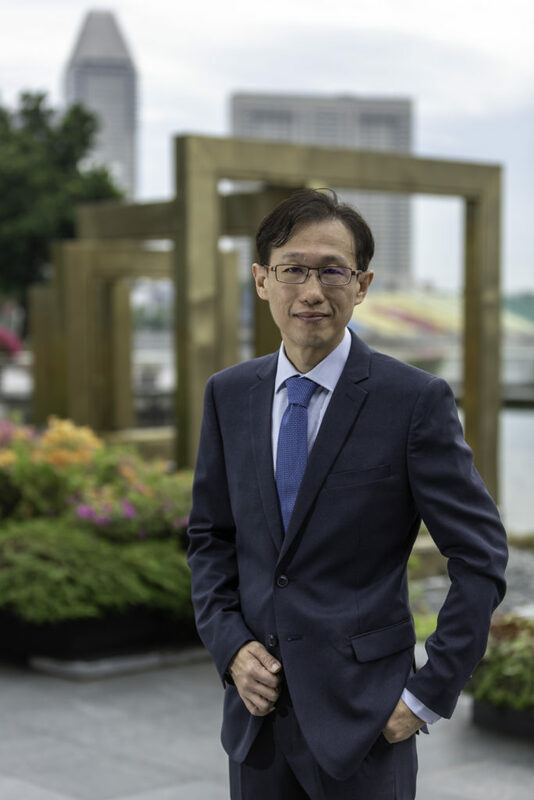 You are here: Home / Frequently Asked Questions / FAQs on Wilfred Ling's Financial Services / What is the CFA Charterholder designation? Charter Recognition Ceremony - 8th December 2011.Wilfred Ling (right) receiving the CFA charter from Mr. Daniel Schaefer, President of CFA Singapore. The CFA® charterholder designation is awarded by CFA Institute. CFA Institute is a global, not-for-profit organization comprising the world’s largest association of investment professionals. With over 100,000 members, and regional societies around the world, the Institute is dedicated to developing and promoting the highest educational, ethical, and professional standards in the investment industry. The CFA Institute offers a range of educational and career resources, including the Chartered Financial Analyst® designation, and is a leading voice on global issues of fairness, market efficiency, and investor protection. To earn the CFA® charter, candidates must already hold a bachelor's degree, sequentially pass three six-hour exams that are widely considered to be among the most rigorous in the investment profession. The exam is a three-level exam covering topics including Ethical and Professional Standards, Quantitative Methods, Economics, Financial Reporting and Analysis, Corporate Finance, Investment Tools, Asset Classes, and Portfolio Management and Wealth Planning. Each level imparts a particular skill set: Level I is focused on investment tools and the foundations of the business, giving candidates the necessary knowledge and comprehension; Level II is focused on asset classes including equity investments, fixed income, derivatives, and alternative investments, emphasizing candidates’ ability in application and analysis; and Level III is focused on portfolio management and wealth planning, requiring candidates to be competent in synthesis and evaluation while making investment decisions. 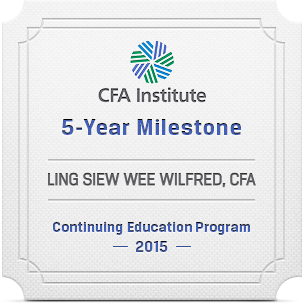 CFA Institute has administered well over a million exams since the inauguration of the CFA Program in 1963. In addition to passing the exams, candidates must also have at least four years of work experience in the investment profession; sign a commitment to abide by the CFA Institute Code of Ethics and Standards of Professional Conduct; apply to a CFA Institute society; and become a member of CFA Institute. On average, candidates report spending in excess of 300 hours of study to prepare for each level. CFA candidates typically take four years to pass the three required exams. As at September 2011, there are 2,658 CFA Charterholders in Singapore. The top local employers are Citigroup, Credit Suisse, DBS Group, Deutsche Bank, OCBC Group, Standard Chartered, Temasek Holdings and Government of Singapore Investment Corporation Pte Ltd. Globally, there are 97,173 CFA® charterholders. Only 10% of these charterholders in Singapore are working as financial advisers and relationship managers.